Want to forward this message to a friend? Help us spread the word by using this form instead of your email system. Next week, the Wisconsin Department of Natural Resources will ask the state Natural Resources Board to approve its final rules to protect groundwater in sensitive areas from manure spreading in NR 151 of the Wisconsin Administrative Code. This rule revision is the result of years of work by advocates in northeast Wisconsin who are living with drinking water contaminated with nitrates, bacteria, and parasites. Midwest Environmental Advocates advocated for more stringent drinking water protections, but ultimately supports a compromise that will provide modest additional protections for residents of the northeast part of the state. For more, visit MEA’s webpage on this rule proposal. Though advocates, experts and the public have worked for years to shape this compromise, powerful special interest groups are already opposingthe very modest public health protections in the proposed rule. Take action – testimony and comments needed: residents concerned about clean drinking water can testify before the NRB on this rule proposal. The NRB and legislators need to hear from those struggling with polluted drinking water about why these very basic protections must stay in the proposed rule. We encourage residents of southwest WI who also have groundwater vulnerable to contamination to testify about why DNR needs to do more to implement existing rules and assess the extent of contamination in southwest WI. Send written comments to the NRB via email to laurie.ross@wisconsin.gov by Friday, January 19th at 11:00 a.m. The Department of Natural Resources is also asking the state Natural Resources Board to allow it to revise some of its master plans for DNR properties without following certain rules for master planning, contained in NR 44. DNR says it would still follow public participation requirements, but wouldn’t update the plans to be consistent with the land and recreational use classifications that are currently required by rule. This request would only affect master plans for state parks and other properties written before the rule was in place in 1996. However most planswere created before this date. A judge recently rejected DNR’s attempt to amend a master plan for Blue Mound State Park without following the classification system in NR 44. The judge concluded that because DNR didn’t follow the NR 44 classification system, the agency didn’t adequately consider whether authorized park uses, including a proposed snowmobile trail, were compatible. The DNR is attempting to persuade the NRB to give it blanket authorization to disregard the classification rules for a broad category of parks and other property. Take action – testimony and comments needed: residents who care about public lands, long-term planning and public participation, and who have invested their own time and expertise in protecting land with conservation and recreational value can testify at the NRB meeting or contact the NRB with their concerns. Send written comments to the NRB via email to laurie.ross@wisconsin.gov by Friday, January 19th at 11:00 a.m.
Visit DNR’s webpage for this NRB meeting, which provides instructions for commenting and registering to testify at the NRB meeting on Wednesday, January 24th. The deadline to send written comments or register to testify is 11:00 am on Friday, January 19th. 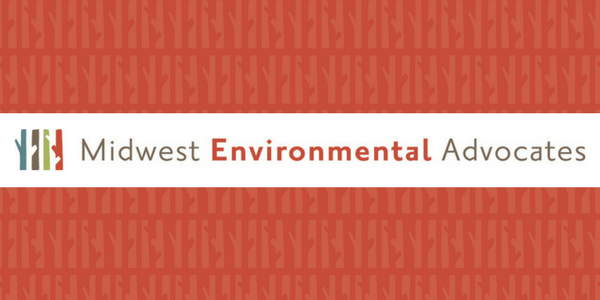 This message was brought to you by the members of Midwest Environmental Advocates. Advocates like you help keep our nonprofit law center strong, independent and able to help the citizens who are taking on today's most important work to defend our natural resources for this generation and the next. Copyright © 2018 Midwest Environmental Advocates, All rights reserved.